If you are a homeowner in California you know the value of a reputable HVAC contractor. When winter temperatures dip down into the 50’s and your heater goes on the fritz, it is nice to know a reliable HVAC service provider. McLay Services, Inc. has been providing honest, expert, and reliable heating and furnace services to the city of LaVerne and surrounding Inland Empire since 1978. With quality repair, maintenance, and complete installation services, we are your one-stop shop for all things heating. Our team of expert HVAC technicians have the training and experience to tackle any heating system problem. Schedule your appointment for premium service now! When your heating or furnace system encounters problems, a quick call to McLay Services, Inc. will dispatch a heating repair professional to your home or business to diagnose the problems, give you multiple options to rectify the issues — including repair, part replacement, and full system replacement, and will see to your complete customer satisfaction from the beginning of the job to completion. For repair services from your trusted local repair contractors, call McLay Services, Inc. at the first instance of problems. Your heating system, like your car, won’t run at its best unless it is properly maintained. We offer comprehensive maintenance plans that give you an in-depth scan and cleaning of your system. We are often able to catch potential issues before they spiral out of control and require expensive repair work. With regular maintenance, your heater or furnace will have improved performance, a longer lifespan, and greater efficiency – which means energy savings for you! Licensed, professional, and focused on customer care and satisfaction, McLay Services, Inc. offers our heating system and furnace installation and replacement services to assist you in the purchase and installation or replacement of units, systems and products. 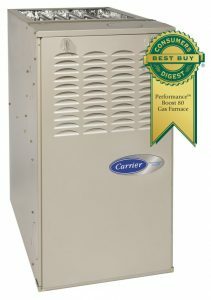 A Factory Authorized Carrier Dealer, we offer high efficiency products and heating systems backed by the trusted name and reputation of Carrier. Call today to speak with an installation professional to start planning your system installation today. We are a proud Factory Authorized Dealer of Carrier Brand Heating systems and furnaces, offering rebates and savings to our heating customers in California on the purchase and installation of products and systems in our wide selection of heating products. As winner of the 2016 Carrier President’s Award and the 2015 Russell Sigler Award for excellence, you know that you are working with a seasoned and well respected part of the Carrier community. Call today to discuss your options for heating solutions!